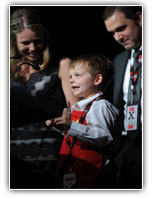 honours Jack with a "Making a Difference Award"
The gala was a very special evening in Calgary. 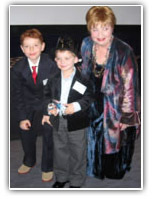 In addition to forming a special friendship with the Rogers family, Jack also spent time with Ben Affleck. 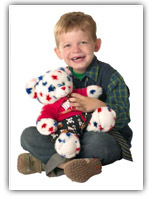 Jack had the opportunity to fly to Washington, D.C. to meet the other Huggable Heroes from around the world. It was incredibly inspiring to learn more about other kids making a difference. Jack was awarded the Spirit Award for his lemonade stand efforts. The evening was hosted by Daniel Cook and over 200 other children were recognized for their fundraising efforts for SickKids.